The pace was honest, with the favorite and third choice leading the way and setting things up for Berned to gradually close the gap from off the pace. 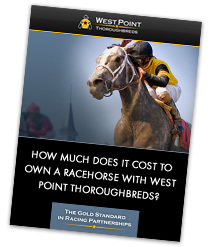 The filly made a sustained run and Bravo had a ton of horse. She darted to the inside on the turn, came three wide at the top of the stretch, and maintained her advantage. Berned has graded stakes placing in the 2016 Tempted Stakes (G3) and 2018 Barbara Fritchie Stakes (G2) and two listed stakes wins (2017 Safely Kept Stakes and 2018 Serena’s Song Stakes). 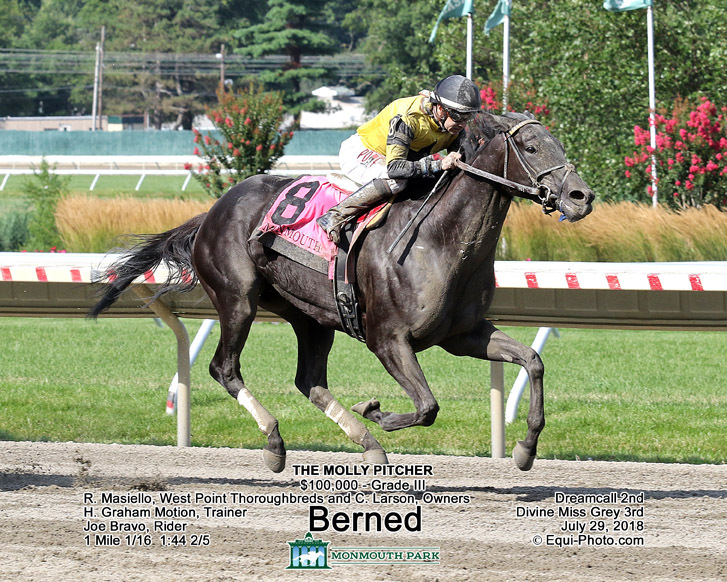 The Molly Pitcher is a race we’ve had our eye on most of the year, and a win in a graded stake is huge for this well-bred filly’s residual value. Purchased at the 2015 Keeneland September Yearling Sale, Berned is out of the graded stakes-winning Giant’s Causeway mare First Passage, who is out of the multiple stakes-winning mare Win’s Fair Lady. Win’s Fair Lady is a half-sister to grade one winner Harmony Lodge and grade three winner WinMcCool, dam of this year’s Arkansas Derby (G1) winner Magnum Moon. 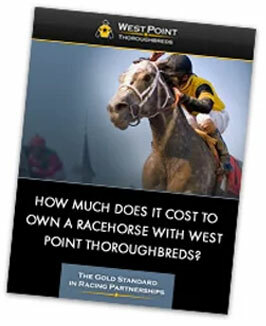 Her overall record is now 15-5-2-1 with earnings of $374,781.